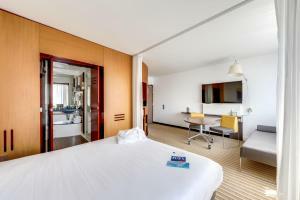 Located in North Paris, Novotel Suites Paris Nord 18ème is just a 10-minute walk from the line 12 Metro and the T3 Tramway, 2 km from the Stade de France and 4 km from Montmartre. 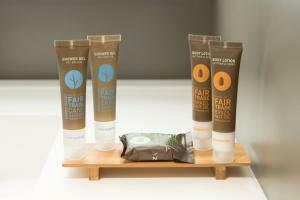 It offers en suite accommodation, a fitness room and free Japanese-style body treatments on Thursdays. 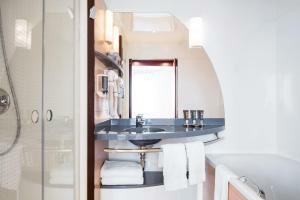 The spacious suites are equipped with a microwave, fridge and a Nespresso coffee machine. 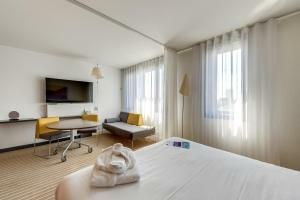 Each suite has a TV, free Wi-Fi access and free unlimited calls to landlines in France. 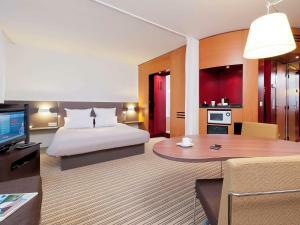 Novotel Suites Paris Nord 18ème offers a buffet breakfast daily. Guests also have access to the hotel’s bar and prepared meals at the 24-hour gourmet store. 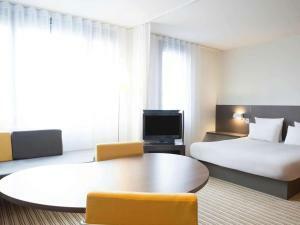 The hotel is conveniently located 4 km from Gare du Nord and 12 km from the Eiffel Tower. There is secured, private parking on site, available at an extra cost depending on availability (reservation is needed). Les Docks de Paris Event Venue are 700 metres away. 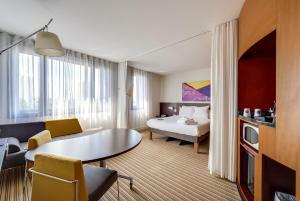 Please note that the credit card used at the time of booking will be requested upon check-in. Guests are required to show a photo identification and credit card upon check-in. Please note that all Special Requests are subject to availability and additional charges may apply. Parking is subject to availability due to limited spaces. Suite equipped with a microwave, fridge and Nespresso coffee machine. 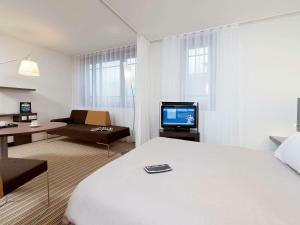 Each suite also has a sofa bed, TV, free Wi-Fi access and free unlimited calls to landlines in France. Suite equipped with a microwave, fridge and Nespresso coffee machine. 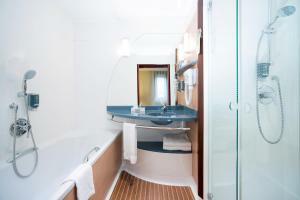 Each suite also has a double sofa bed, TV, free Wi-Fi access and free unlimited calls to landlines in France. Suite equipped with a microwave, fridge and Nespresso coffee machine. 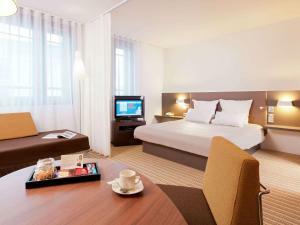 Each suite also has a TV, free Wi-Fi access and free unlimited calls to landlines in France. Rate: € 79.34 ... € 210.00; select dates below to get current rates. Rate: € 89.00 ... € 204.00; select dates below to get current rates. This family room has a electric kettle, sofa and minibar.